How does one affect the employment relationship? A confidentiality agreement is a written legal contract between an employer and employee. The confidentiality agreement lays out binding terms and conditions that prohibit the employee from disclosing company confidential and proprietary information. A confidentiality agreement is in effect for the duration of an employee's employment and for a period of time following employment termination. The usual term of a confidentiality agreement is between one and three years and includes activities that the former employee is restricted from doing. When Else Is a Confidentiality Agreement Used? Management and senior-level job interviews during which company confidential information is discussed and the candidates sign an agreement before the interview. Consultant or contractor contract and assignment discussions and products resulting from contractual work require a signed agreement before assignments. Vendor discussions that involve products, parts, and other proprietary information sharing. Situations involving stock or company purchase, due diligence, or any interaction during which confidential information is shared. Employers benefit from confidentiality agreements because they keep these parties from sharing proprietary knowledge, trade secrets, client or product information, strategic plans, and other information that is confidential and proprietary to the company with competitors. Confidentiality agreements state that the signer cannot disclose or in any way profit from company confidential information supplied by their employer, customer, suppliers, and any other party that may benefit from shared confidential information. 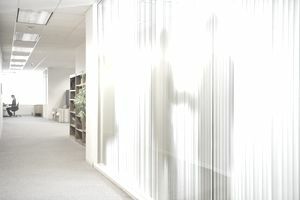 Confidentiality agreements frequently include the length of time during which an employee, who leaves their employment, may not work for a competitor company. The goal is that the former employee is unable to benefit or profit a new employer with information obtained that was obtained from a competitor, the former employer. Some confidentiality agreements prohibit an employee from working in the same industry upon leaving employment for a period of time, often two years. Others extend this ban to industry suppliers and vendors. Confidentiality agreements frequently claim company ownership of anything that is developed, written, produced, or invented during or as a result of employment, contracts, services, or interviewing if it is in any way related to the scope of the company's business. It is true even if the work was developed in the employee's spare time away from the workplace. A confidentiality agreement should offer a clause that allows an employer to sign off on or give permission to the signer to use company proprietary information. The employer might allow this if he saw a direct benefit, and not a potential loss, from allowing the former employee to share the information with another organization. Employers will do well to run their confidentiality agreement by an employment law attorney as recent court cases are voiding agreements. It occurs when the court deems that the agreement was so broad that its tenets prevent an individual from obtaining a job and earning a living in her field. An attorney would know if your clauses and requirements are overly restrictive. Finally, it is much easier to implement a confidentiality agreement when you first hire an employee. because the employee knows before accepting the job that it is a requirement for employment. In this instance, the confidentiality agreement falls within the terms and conditions of employment when the prospective employee accepts your job offer. Implementing an agreement after hire—in some cases, years later—feels to employees as if the employer changed the terms and conditions of their employment. Some will refuse to sign, and you may lose employees you wanted to retain. In one case in a small cell phone refurbishing company, an employer who refurbished cell phones decided to implement a nondisclosure agreement twenty years after opening and staffing the business. The demand was basically, sign the confidentiality agreement or leave. The plant's employee morale was mortally wounded and would take several years to improve. Several office employees, including a key company leader in their sales organization, had been running phone sale businesses out of their garages for years. The company discovered that these employees were legitimately purchasing phones through the sales organization and then, reselling them with a large price increase from their homes. When they were asked to sign the new agreement, which prohibited this type of competitive behavior, they decided that they were making more money in their resale businesses. They then resigned rather than signing the agreement which would have eliminated their ability to make phone sales from their garages. The employer lost several highly thought of and needed employees over the signing of a confidentiality agreement years after hire. And, he was unable to make exceptions because of the need to treat all employees equivalently and fairly. The requirement to sign a confidentiality agreement years after hire worked out well for no one. Heed the lesson.